Richard “Dwight” Collins, 73, passed away Thursday, January 31, 2019, after a courageous battle with Parkinson Disease. Born December 4, 1945 in Patrick County, Va. To the late Rayon and Pearl Collins. Dwight retired from RJ Reynolds Tobacco Co. in 2003 with 34 years of service. For most of his life Dwight raised tobacco and cattle. 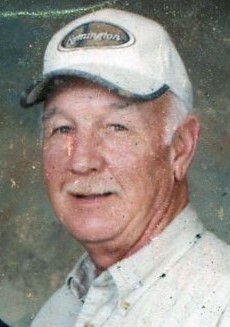 He was and avid fisherman and hunter and he had the trophies on the wall to prove it. He enjoyed nascar, bowling, and Duke basketball. He was preceded in death by a beloved son, Neal and brother Coy. Left to cherish his memory are daughter, Valerie (Dave) Marriott and granddaughter Claire of Richlands, N.C. and loving wife of 20 years Tina A. Collins of Francisco, N.C.
Tina and Dwight plan on being reunited by the river. There will be a private memorial on a future date. In lieu of flowers, donations may be made to the Woltz Hospice House, Dobson, N.C. or the Michael J. Fox Parkinson Foundation.